Alamance Foods, Inc. has been in existence for many years. 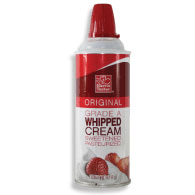 They produce the highest quality product possible, using the freshest heavy cream to give that home whipped taste. Dr. Tony Martin moved to Charlotte, NC in 1986 and opened a small cafe with a menu straight from the heart of the Caribbean. His recipes were so popular he created his unique and flavorful sauces for retail sale. 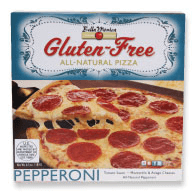 Bella Monica provides a delicious frozen pizza alternative for those requiring a gluten-free product. The frozen pizzas you can buy at Harris Teeter are the very same served in the Bella Monica restaurant. Burt's Bees is a Durham, NC based company specializing in natural based personal care products. Started in 1984 by Burt Shavitz, Burt's Bees manufactures their products with natural ingredients using minimal processing such as distillation/condensation, extraction/steamed distillation/pressure cooking and hydrolysis to maintain the purity of those ingredients. In addition, every product has a "natural bar" which gives a percentage of natural ingredients in that product, often with detailed ingredient descriptions. 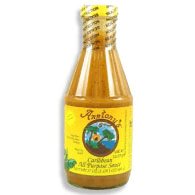 This sauce was developed in 1953 for a small grocery chain’s take-out barbequed chickens. 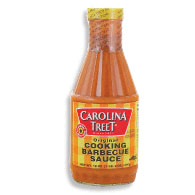 Soon people started asking for the sauce to take home, so a retail size Carolina Treet Barbecue Sauce was born. Happy Hens’ Barnyard is an Eastern Shore family Farm whose primary focus is to produce healthy and tasty eggs by providing a happy atmosphere for their Free Range hens. Their Red Star hens lay a nicely shaped brown egg each day, while the Khaki Campbells provide assorted sizes of white eggs. The hens roam stress free, scratching and picking natural grasses, and they break for laying time at their leisure. They have a high protein diet which includes whole flax seed and extra calcium. 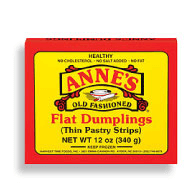 Anne’s dumplings are made here in North Carolina and Harvest Time Foods is diligent about purchasing ingredients, packaging and services manufactured or produced here in our country. 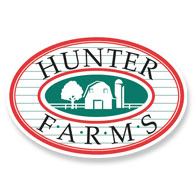 Hunter Dairy started in 1917 and is now owned by Harris Teeter. The Hunter Farms name is synonymous with quality, supplying ice cream, milk and other dairy products to Harris Teeter. 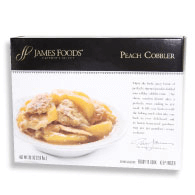 This North Carolina business uses only premium ingredients in their frozen entrees, sides and desserts providing you with good old fashioned homemade taste. 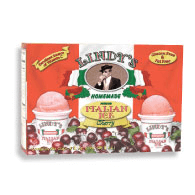 Lindy’s was established in 1998 in Charlotte, NC. 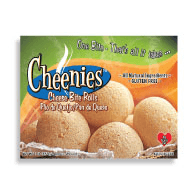 They are committed to creating healthy, top quality, great-tasting products using only the best ingredients for their customers and their families to enjoy. Mt. 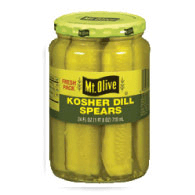 Olive, in Mount Olive, NC is the second best selling brand of pickles in the country. 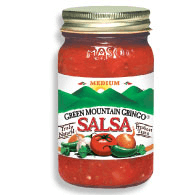 They pack over 110 million jars of processed and fresh pack pickles, relishes and peppers annually. 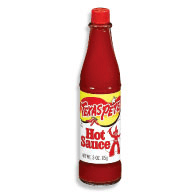 This is the sauce that true hot sauce lovers have used since the 1930’s to spice up barbecue, eggs, pizza, chicken, veggies and just about everything else. VEGAN TO-GO® is a local vegan foods Company based in Charlotte, North Carolina. VEGAN TO-GO® products are made from the highest quality ingredients and provide consumers with meatless alternatives to “Traditional” animal protein products. VEGAN TO-GO® products fit into the consciousness of today’s health-minded consumers. 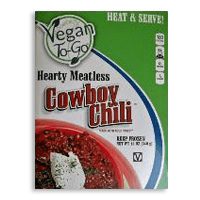 Look for our new 12oz frozen Vegan Cowboy Chili at Harris Teeter stores. 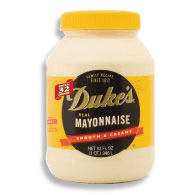 During WWI, Mrs. Eugenia Duke of Greenville spread her homemade mayonnaise on sandwiches she sold to soldiers stationed at nearby Fort Sevier. Almost a century later, her unique mayonnaise recipe is still made in Greenville, SC. 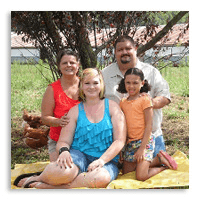 McCall Farms’ family business is located on a farm in Effingham, SC. The vegetables they prepare are grown locally and delivered fresh. 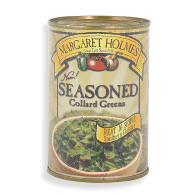 They are committed to making products that taste good and are good for you.